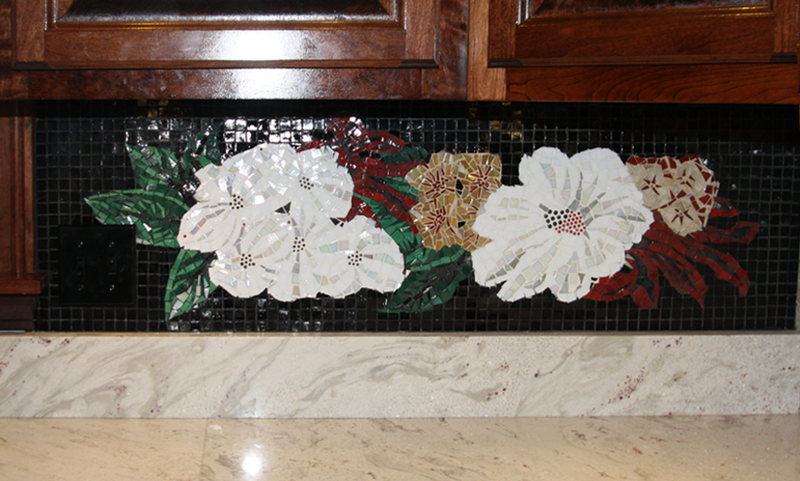 Every so often, we receive photos of projects completed using No Days adhesives. We love opening our inbox to see beautiful artwork created by talented artists, as well as sharing those pictures with the rest of our network. I’d like to introduce you to Merle Bouffard’s wonderful world of mosaics. 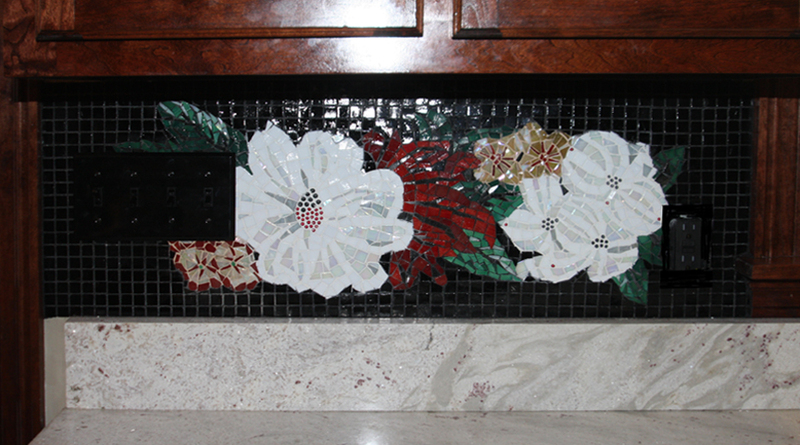 She shares lots of images and the stories behind her mosaics on her website, Merle Art Design. 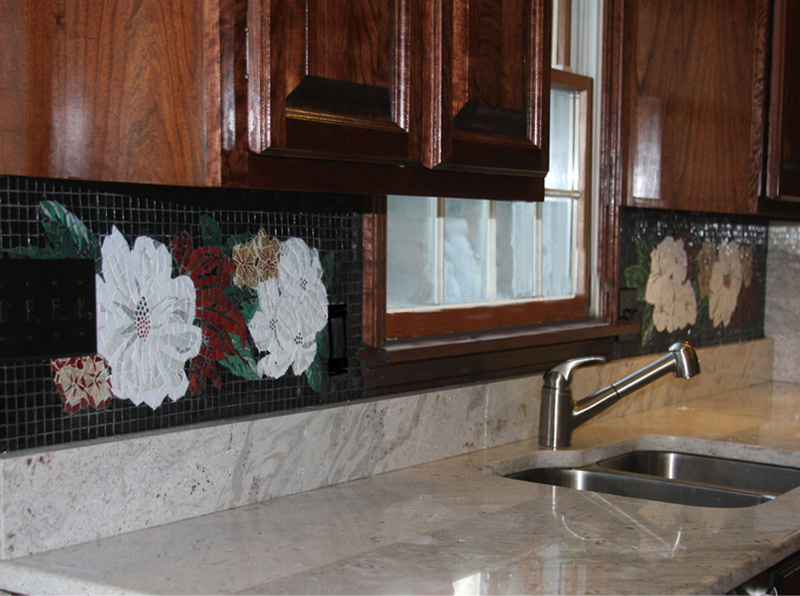 The latest mosaic she’s shared is a floral glass tile mosaic back splash. Merle worked with her customer on the design and came up with a concept that was based on the upholstery used in the kitchen chairs and drapery.